Sweden is to further extend the operational use of its Saab 105 (SK60) jet trainers until the middle of the next decade, to enable it to consider the Boeing/Saab T-X platform as a potential replacement. "The Swedish armed forces have developed requirements on an overall level about a new trainer system," the nation's air force says. "In order to find more time and freedom of choice in this ongoing process, SK60 will continue to fly to 2025." Speaking in Stockholm on 8 May, Col Magnus Liljegren, head of the air force's training and development department, indicated that a US selection of the Boeing/Saab candidate would be of interest to Stockholm. "It [T-X] has all the capabilities that we need," he says. "It's a question of money, and where we can fly it," he adds, referring to the type's use of a GE Aviation F404 engine, which is louder than the SK60's propulsion system. Liljegren indicates that Stockholm would not be interested in the other candidates pursuing the US Air Force's Northrop T-38 replacement opportunity. "If Saab and Boeing do not win, we will not take the aircraft that the US Air Force will go for, because it wouldn't make sense," he notes. Several other systems are also being considered, he adds, identifying the Pilatus PC-21 turboprop as another potential solution. Clarifying its position following Liljegren's comments, the Swedish air force says: "At this stage, the Swedish [Defence] Materiel Administration (FMV) will not define which manufacturers may be potential suppliers of a new trainer aircraft. Together, FMV and the Swedish armed forces are developing various trainer system concepts to find a suitable solution that fulfils the Swedish air force demands on future trainer aircraft and that can replace SK60." The Swedish air force has an inventory of about 50 Saab 105s, about 40 of them operational. Flight Fleets Analyzer shows these as being between 48 and 50 years old. The service had previously outlined an ambition to replace the Volvo Aero RM15-engined type by 2020. 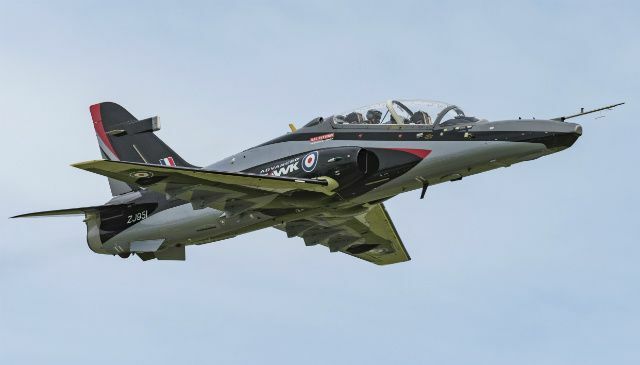 In the coming days, BAE Systems will fly the latest iteration of its Hawk jet trainer, kitted out with technologies the company hopes will keep the trainer ahead of increasingly stiff competition. The Advanced Hawk has emerged from BAEâ€™s jointly funded cooperation with Indiaâ€™s Hindustan Aeronautics Ltd. (HAL) and from BAEâ€™s work to offer the Hawk as a competitor for the U.S. Air Forceâ€™s T-X trainer program in conjunction with Northrop Grumman. BAE believes the Advanced Hawk could be a trainer for India with greater utility, better training capabilities, improved performance and the ability to be converted into a light attack aircraft. The manufacturer thinks some of those capabilities could even be retrofitted into the oldest Hawk fleets operating around the world. The new Hawk features a modified wing and vertical stabilizer and an advanced cockpit that could be used to replicate a wide range of aircraft types ,simplifying and potentially speeding up training of fast-jet pilots. The big questions are whether India wants to take the development forward and if the aircraft can compete internationally. Recent sales would certainly suggest it can. BAE is completing a batch of 22 aircraft for Saudi Arabia and has a firm order for another 22 it will deliver in kit form for assembly in-country. The company is also building eight aircraft for Oman and chasing potential orders from Austria and Kuwait. 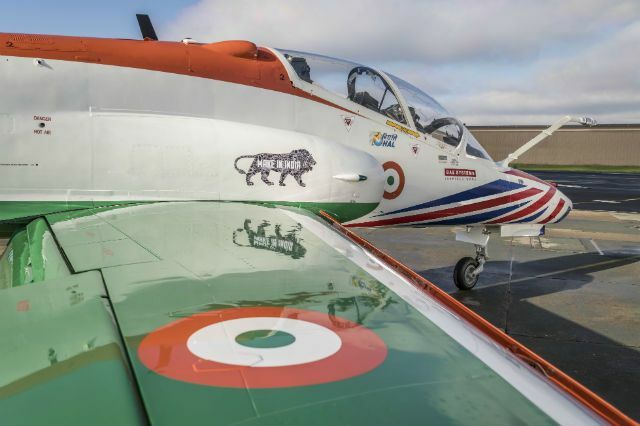 India is mulling a third batch of aircraft to support its national aerobatic team as well. These orders could help keep the production line open beyond 2018, when the Saudi and Omani aircraft are due to be completed. â€œA lot of nations have prioritized purchasing fighters over trainers,â€� says Steve Timms, the managing director of BAEâ€™s Defense Information, Training and Services division. â€œThose nations are now beginning to realize they need a more advanced training aircraft to meet their needs.â€� Timms believes there is a market for 200-300 more Hawks over the next decade, before the winner of the T-X program likely grabs a significant chunk of the export market. BAEâ€™s Advanced Hawk demonstrator is based on the Hawk Mk. 120 prototype, ZJ951, that last flew more than eight years ago. The most significant change has been the wing, the span of which has been lengthened by several inches. It also has a single, near-span-length leading edge slatâ€”similar to that on the naval T-45 Goshawkâ€”manually adjustable on the demonstrator by three settings: 0 deg., 6 deg. and 16 deg. The slat will be automatically actuated in production models. Its introduction delivers lower approach and landing speeds and, more crucially, improves the aircraftâ€™s sustained turn rate by 25%, reduces turn radius by 20% and improves high-alpha (angle-of-attack) performance. Wind-tunnel testing and simulation suggests the aircraft should be able to achieve 22-23 deg. of alpha, some 10 deg. more than the current wing configuration offers. â€œThe wing puts the Hawk into near-F-16 [maneuvering] territory,â€� says John Hurrell, former test pilot and flight training advisor with BAE. To cope with the increase in angle of attack (AoA), engineers have also increased the height of the vertical stabilizer 9 in. to deal with the fuselage blanking generated by high-alpha maneuvering. BAE has introduced a yaw-axis stability augmentation system to cope with potential adverse yaw expected during high-alpha maneuvering, too. Perhaps the biggest change is in the front cockpit, where BAE has installed an F-35-like large-area display replacing the multifunction displays in current Hawk variants. The company has also installed its LiteHUD head-up display. The new cockpit saves space and weight, reduces cost and is more streamlined. BAE has opted for a so-called four-portal layout with flight information and maps displayed in four columns, each of which can be widened for a clearer view. An additional row along the top of the display allows the pilot to access key systems such as radios, navigation, fuel and engine systems. The cockpit was developed in BAEâ€™s Training Simulation Integration Facility here at Warton, a facility that is experimenting with other technologies such as gesture controls that would allow the pilot to return the display to a standard setting with a single hand movement instead of a series of button pushes. BAE is working on its Goldbox concept as well, which keeps simulator software to the standard of that used on the aircraft. The traditional Hawk cockpit layout is maintained in the rear of ZJ951, and the aircraft will be flown from the rear during initial flight testing. BAE is planning a set of 17 sorties to prove the new aerodynamic configuration. HAL was heavily involved in the development of the Advanced Hawk, but it has revealed its indigenous Hawk upgrade, the Hawk-i, which has a locally developed mission computer and embedded training system. - AVIC unveils export version of FTC-2000 trainer aircraft. - First export customer believed to be Sudan. The Aviation Industry Corporation of China (AVIC) has unveiled an export version of its low-cost FTC-2000 supersonic trainer. The aircraft â€“ known in China as the JL-9 Shanying â€“ is the latest in a series of platforms that are being adapted by AVIC and its subsidiaries specifically for international markets. AVIC said the FTC-2000, which was rolled out by its subsidiary Guizhou Aircraft Industries Corporation (GAIC) on 5 June, will be delivered to an overseas client following trials. AVIC did not disclose the customer but it is thought to be Sudan. In China, the aircraft is operated by the Peopleâ€™s Liberation Army Air Force (PLAAF) and Navy (PLAN). Hu Jianxing, deputy manager and chief designer at GAIC was quoted by the official Xinhua news agency as saying that the Chinese and export versions of the FTC-2000 are both powered by the Chinese developed WP-13 engines. He added that major differences between the Chinese and export versions of the aircraft include various avionics systems, navigation guidance systems, and extra hardpoints to carry additional payloads. The latter, he said, is intended to meet â€œoverseas clientsâ€™ demands for multiple missionsâ€�. The twin-seat, single engine FTC-2000 made its first flight in 2003 and entered service with the PLAAF in 2009. Janeâ€™s reported in November 2016 that an executive from GAIC had disclosed that Sudan had ordered six FTC-2000s and that other African countries were considering procuring the aircraft. 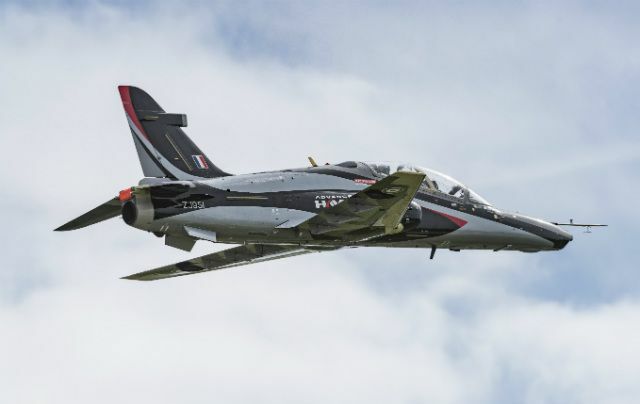 BAE Systems has performed the first flight of its Advanced Hawk trainer, testing a series of enhancements which could equip new-build examples or be added as upgrades to in-service aircraft. The debut was performed from the company's Warton, Lancashire site on 7 June. Key elements of the proposed evolution inside the cockpit include a large area display and the integration of BAE's LiteHUD head-up display. Externally, the main change is the use of a new wing, which the company says "increases performance in areas such as turn rate, angles of attack and both take-off and landing". It also will enable the Hawk to be operated carrying an increased range of air-launched weapons. To support potential offensive operations, the Advanced Hawk would also gain new defensive aids system equipment. Describing the debut as a "significant milestone in Hawk's capability upgrade", Steve Timms, BAE's managing director of defence information, training and services, says the updates are intended to give the type "the edge in fast jet pilot training, as well as offering increased operational utility". "By using this demonstrator aircraft we have highlighted to existing users of Hawk that many of the proposed features of an Advanced Hawk, such as the large area display and new wing, could be achieved as upgrades," Timms says. The Advanced Hawk is being developed in collaboration with India's Hindustan Aeronautics, with the partners having displayed the type for the first time at the Aero India show in Bengaluru in February 2017. The aircraft will now undergo a series of flights to collect test data on the new key capability enhancements, BAE says. Boeing believes there is a potential market of 2,000 aircraft for its Boeing T-X (BTX) trainer despite this the company remains focussed on its bidding for the US Air Force (USAF) T-X jet trainer replacement 350-aircraft programme. The BTX is peculiar for Boeing and many companies in that, like commercial programmes but unlike military programmes, the development funding is being provided by Boeing and its partner Saab. The two companies partnered in 2013 and the aircraft flew in early 2016. Unusually, there will be no â€˜fly-offâ€™ with the main competition of the T-50 from Lockheed Martin/Korean Aerospace Industries and the T-100 from Leonardo. Instead the contract award, expected in December, will be based on data provided by the company and will see the manufacture of five engineering, manufacturing and development (EMD) aircraft. Boeing has been awarded an experimental certificate for its two aircraft from the FAA which allows the company to carry out flights and manoeuvres and then submit data as well as voice from cockpit and head-up displays for evaluation. The submission is due on 28 June and a final price revision is due in September. A company official pushed hard to combat the fact that BTX is the only aircraft in the competition not in service. â€˜These are not X planes, they are ready to support USAF and enter the EMD phaseâ€¦ We have flown as many as four times a day and [have turned] sorties around really fast. We are right on the schedule put forward three years ago. We promised to have these aircraft done and flight testing and we did,â€™ he said. â€˜We have been laser focused on the very prescriptive requirements. There is a high wing for maintenance. It has stadium seating so the trainer can see the landing [and] moved leading edge extension back behind the pilot. â€˜We knew the customer would eventually want to do air-to-air refuelling we knew that would be a requirement, so we had twin tails for stability and opened up the centre of the aircraft for refuelling. There is power to get out of trouble. If the requirement didnâ€™t state it we didnâ€™t include it,â€™ the company official added. The aircraft has the growth potential for hardpoints which would open the aircraft up to the lead-in fighter trainer market and countries which, for example, use armed BAE Systems Hawks, but the company insists that is a later consideration. The company announced on 15 May that future aircraft would be built in St Louis, Missouri. The bidding companies have created full training solutions including ground-based systems and courseware. CAE has achieved a number of successes in the military domain over the past 12 months, having capitalised on a move towards providing integrated training systems to its key defence customers. Some 40% of revenue from the defence side of the business is now being derived from whole system delivery, which represents customers' requirements for training provided in one package, according to Gene Colabatistto, group president for defence and security. "[We have] startedâ€¦ on the US Army's fixed-wing training contract," he tells FlightGlobal. "This is a great example where we bought the land, built the facility and the simulators, the aeroplanes, the instructors, the courseware. "We went from the ground-breaking of the facility to operations in 11 months, so I think the customer was very impressed that after some administrative delays, we kicked that off this year and delivered it in March. We are certainly at full operations today." This development was funded by CAE, and then an initial contract for seven years was signed with the army to provide the fixed-wing services. Colabatistto hopes that because the infrastructure is fully deployed and available, this contract will be extended. In January 2017, the firm also won an extension for the NATO Flying Training in Canada (NFTC) programme. This will see it provide services up to 2023 and includes the company training fighter pilots in western Canada. The extension will see the simulators being modified to increase the amount of virtual training and reducing the demands on the aircraft, which Colabatistto says will extend their service life by up to five years. CAE will also network the simulators to enable joint training â€“ and the company is exploring adding a live downlink from aircraft to simulator. "Weâ€™re also going to be doing a live aircraft to simulator downlink as a technology experiment, to show first that we can be doing formation flying training where one aircraft is in the air, and a guy in the simulator can be his wingman," he says. Colabatistto says this concept could be operational within the next two years, and once validated it could enter service immediately. "NFTC is exciting because it gives us the opportunity to actually develop some of these advanced concepts." Additionally, under Canada's 26-year fixed-wing search-and-rescue contract awarded in February 2017, CAE was selected as part of an Airbus Defence & Space team as training system integrator. This will see the company provide aircrew and maintenance training to support the C295W fleet's service life. "We will be building the training centre, populating it with the flight simulators, providing instructors and courseware, and we will be training the entire fixed-wing search and rescue enterprise," Colabatistto says. The company has identified unmanned air vehicles as a key market, which will leverage its experience in providing the US Air Force's General Atomics Aeronautical Systems MQ-1 Predator and MQ-9 Reaper training. In May 2017 it was announced that CAE would provide a whole-service training capability to the UAE for its new MQ-1-derived Predator XP fleet, which includes the development of a training centre in Abu Dhabi, simulators, courseware and instructors. "We will take zero time pilots, meaning we will be doing ab initio RPV operator training and also mission training, so this will have a networking piece that goes along with it, so they can actually do tactical training in the simulation centre," Colabatistto says. "Itâ€™s a great example and a number of firsts. Itâ€™s General Atomics' first sale of a Predator XP [and] it's the first training centre outside the USA [for Predator/Reaper] that weâ€™re building." The USAF is "at capacity" with its UAV training, he adds, and as it is exported worldwide, operators are starting to realise the merits of having their own indigenous capabilities. Italy is due to receive a mission simulator for its fleet in the coming months, and will be the first to reduce its reliance on USAF training facilities. "Itâ€™s of interest to the training commander that on any given day, if they can't fly because of weather, some training could be done in the simulator," Colabatistto says. The UKâ€™s new MQ-9-derived Protector UAV will be able to fly in national airspace under commercial flight rules, so it is important for the Royal Air Force to tailor its training accordingly. "Protector is pretty advanced. We expect to be starting work on that very soon, and we're actually doing some risk reduction work on our own right now to maintain schedule, so that one for all practical purposes is kicking off." The new UAV is likely to need both a military and civil certification, and the training will have to reflect the different types of operations it will undertake. "That aircraft will be different, and therefore the training system like a commercial aircraft will have to be fully certificated," Colabatistto says. â€œThe instructors and pilots will have to be licensed. It is going to be different to any military programme anywhere in the world." He notes that all operators are looking to acquire some in-country training, and while the UK's is the most promising, other operators will look at deciding on their own in the next two to three years and CAE is partnering with General Atomics on these potential requirements. "In general, I think everybody believes [they] will have to have some training capacity in their own country," he adds. "Whether they do all of training, or they look for airspace where they can do operational and mission training, I think thatâ€™s yet to be seen, but in every case the countries are interested in their own training capacity. "For UAVs in particular, I think this is going to be a sovereign capability." The process to replace the Swedish air forceâ€™s ageing trainer fleet is likely to take a step forward this summer with the expected issue of a request for information for a replacement for the 50-year-old Sk.60 (Saab 105). In the interim, the service is implementing a life extension programme to keep the twinjet trainer in service until 2024-2025. Responding to a question at the Swedish Air Force Fan Club meeting in Paris on 18 June, Maj Gen Mats Helgesson, the air force's chief of staff said his perfect trainer would be â€œvery cheap and fastâ€�. More seriously, he said the solution could be either a jet or a turboprop, but the platform was less important than the whole training system. "We only plan to operate single-seat Gripens, so the entire system, including simulators and computer-based training, must lead a pilot directly to a Gripen cockpit," said Helgesson. "Whatever is chosen, it must conform with Sweden's training philosophy. We have decided we are going to train our own pilots, we are not going to train them in another country." Helgesson added that Russian air activity in the Baltic had stabilised compared to 2014-2015 but was still well above 2011 levels. As part of Swedenâ€™s response to the changed strategic environment, the air force was negotiating to increase the planned Gripen force from 60 to 80 aircraft, allowing for an average of 70 operational aircraft. Road base operations for both Gripens and C-130s were being practised by squadrons on a monthly basis, as well as at major exercises such as the upcoming Aurora 2017 in September. â€œWe lost our focus on the dispersed-base system and we need to take that back,â€� says Helgesson. 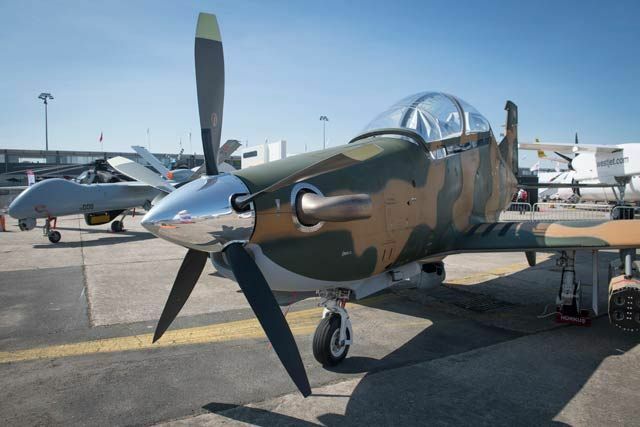 Turkish Aerospace Industries (TAI) officials packed the balcony of the company's chalet to witness the first Paris display conducted with its Hurkus turboprop trainer on the opening day of the show. The indigenous type is making its first international appearance, after TAI sent a pair of A-model aircraft to Le Bourget. Ã–zcan Ertem, head of TAI's aircraft group, says the first three of an initial 15 Hurkus B basic trainers are now in final assembly for the Turkish air force, with the lead production example to make its debut flight in November. A further five aircraft are now in the manufacturing process, he adds, with production set to hit two a month. "All deliveries will be made in 2018," he says, and the first will be handed over next June. The Turkish air force also has an option on a further 40 examples, he notes. TAI secured Turkish civilian and European Aviation Safety Authority certification for the Hurkus A last July. The Turkish air force is acquiring B-model examples featuring an advanced cockpit supplied by Aselsan, with the update to be the subject of a supplemental type certificate from the Turkish government. One Hurkus is taking part in the flying display, while the other is in TAI's static display representative of a future C-model light-attack variant. The Turkish land forces command and Gendarmerie plan to acquire 12 and six examples, respectively, with the same number of options each. Ertem expects deliveries of the Hurkus C to commence in 2019, and notes that the programme's 16th production aircraft should be the first armed example of the Pratt & Whitney Canada PT6-powered design to roll off the line. TAI sees clear export potential for the Hurkus, although it is not naming prospective customers. "There are a few countries looking for the Turkish air force to induct the type and start flying," before advancing their interest in the type, Ertem says. Updated: Corrected to reflect that while cabinet has confirmed acquisition, formal contract signing has yet to occur. Thailand has ordered eight additional Korea Aerospace Industries T-50TH advanced jet trainer aircraft. The deal was approved by Thailand's cabinet on 11 July, says a source familiar with the acquisition. Media reports in from Thailand peg the value of the deal at Bt8.8 billion ($259 million). A contract signing is likely later this month. This follows a deal in September 2015 for four T-50TH jets. Flight Fleets Analyzer shows that two aircraft from this original order will be delivered in December 2017, and two in June 2018. Fleets Analyzer shows that Thailand operates 19 Dornier Alpha Jets with an average age of 35.1 years, and 35 Aero Vodochody L-39 Albatross jets with an average age of 23.8 years. The Alpha Jet's primary role is listed as ground attack, with a secondary trainer mission. The L-39s, however, are primarily used as trainers, with a secondary role as ground attack platforms. Powered by the General Electric F404 engine, Thailand's T-50THs will replace the L-39s. Fleets Analyzer shows 180 T-50 family aircraft in service. Firm orders, not including the additional Thailand jets, stand at 22. Users include South Korea (145), Indonesia (15), the Philippines (12), and Iraq (six). The T-50 also forms the basis of Lockheed Martin's bid for the USAF's T-X competition to replace the aged T-38 Talon jet trainer with at least 350 new aircraft. 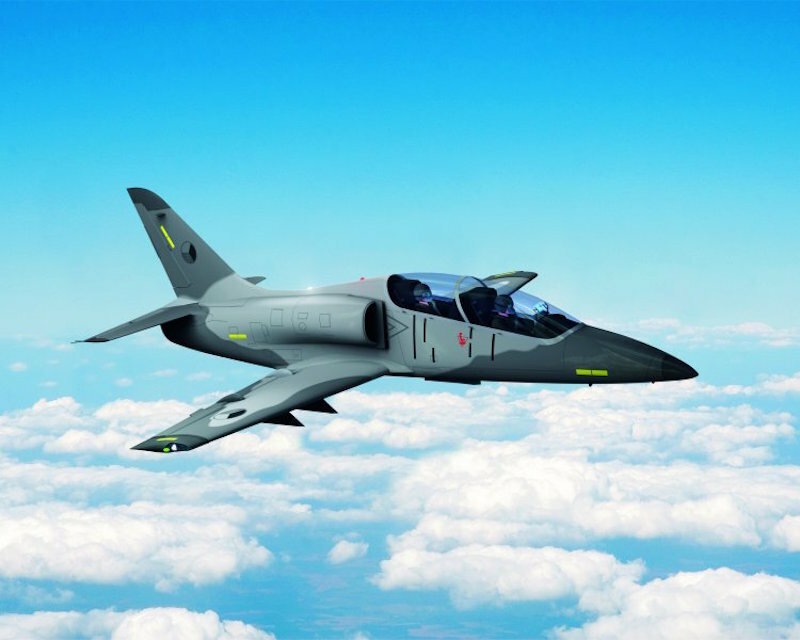 Iranâ€™s military plans to field a new light attack and training jet called the Kosar within 2.5 years, industry officials tell FlightGlobal on 18 July at the MAKS air show outside Moscow. After a public roll-out last month, Iran Aviation Industries Organization (IAIO) displayed a scale model of the twin-engined, two-seat Kosar jet to an international audience for the first time in the MAKS exhibit halls. The prototype Kosar is still involved in a half-year ground testing period before entering a five-year test programme, says Sarvar Mohammad, an IAIO manager. Iran launched the Kosar programme with an 50-aircraft order, he adds. Featuring an 11m (36ft) wingspan and a familiar nose profile, the Kosar appears to follow in the tradition of Iranâ€™s remanufacturing experience with the Northrop F-5, a 50-year-old fighter design that Iran manages to keep in service with a series of indigenous updates. Iran will power the Kosar with two â€œJ90â€� engines, which are a domestic adaptation of General Electric J85 turbojets fielded with the original F-5, Mohammad says. In other respects, however, the Kosar is a different aircraft. It is listed in promotional brochures with a maximum take-off weight of 6,180kg (13,620lb), with is about half the size of an F-5. The empennage also represents a departure from the Northrop design, featuring a cruciform lay-out with the horizontal stabilizer placed at the top of the back end of the fuselage. Textron is to reconstitute Hawker Beechcraft T-6A Texan II trainer aircraft for the Iraqi Air Force (IqAF), ahead of the commencement of in-country F-16 pilot training in the near future, it was disclosed on 18 July. The US Department of Defense (DoD) has awarded Textron Aviation Defense USD8.8 million to return the IqAF's 15 turboprop trainer aircraft to flight status, in anticipation of pilot training for the Lockheed Martin F-16IQ Fighting Falcon combat aircraft moving from the US to Iraq in 2019. "This Foreign Military Sales Acquisition Category III programme provides the aforementioned purchase of long-lead supplies required to reconstitute the aircraft for Iraq training. The work provided for under this [undefinitised contract action] must be in place to start training the Iraq T-6A fleet no later than the second quarter of 2018 in order to meet critical F-16 pilot demand in 2019. Work will be performed at [Imam Ali] Air Base, Iraq," the DoD contract notification said. The IqAf began taking delivery of its new tandem twin-seat T-6A training aircraft in 2009. A 2013 report by the US Special Inspector General of Iraq Reconstruction (SIGIR) said that T-6As located at Al Taji Air Base north of Baghdad had "started getting holes in their wings because no one was sweeping the runways". With IqAF F-16IQ pilot training taking place in Arizona in the United States, it appears that the decision was taken to place the AT-6s in storage to prevent further damage ahead of the transfer of F-16 training to Iraq. In recent weeks, the production of new parts for L-39NG aircraft, the new generation of the legendary Albatros, has been fully launched in Aero Vodochody. The key project of Aero Vodochody and its partner Omnipol, has thus entered the next phase. 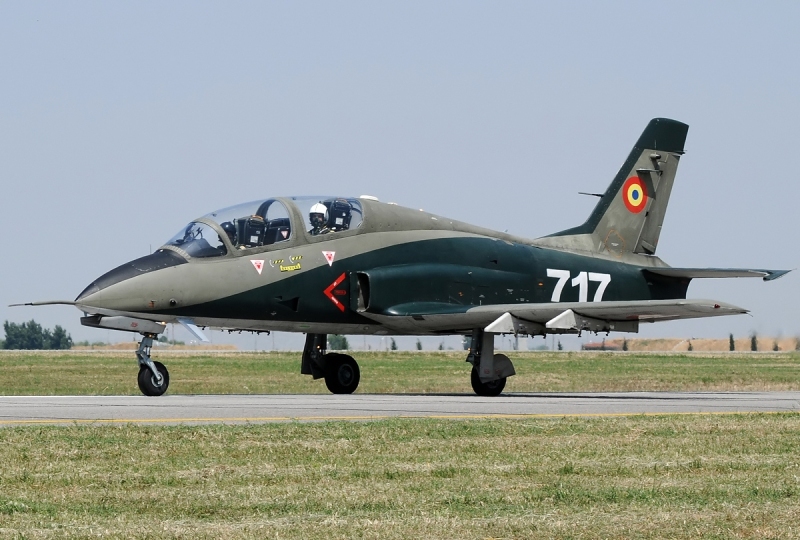 The largest Czech aircraft manufacturer plans to produce the total of four L-39NGs at this stage â€“ three prototypes and one pre-serial aircraft. The first complete L-39NG aircraft with a new certification should be ready at the end of 2019 and the first customer deliveries can then begin in 2020. "All around the world, there are still about 60 users of L-39 aircraft and about 600 of L-39s are still in operation. These older aircraft will need to be gradually replaced by the new ones, so we believe the new generation of L-39 has a great potential to succeed in the market," said the President of Aero, Giuseppe Giordo. The new generation of the aircraft maintains the best features of its predecessor - low operation cost, high reliability, easy logistics and great flying capabilities - and those characteristics combines with modern avionics, newly developed engine from Williams International and many other enhancements. 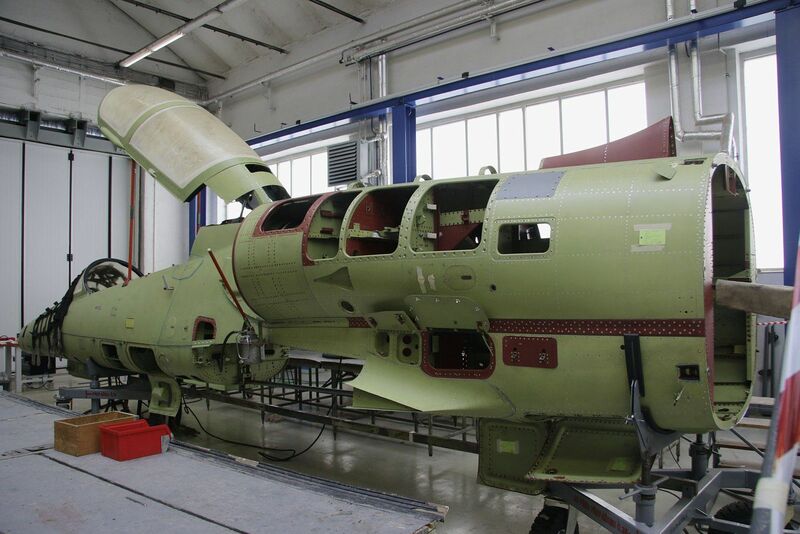 There are about 800 new parts of L-39NG currently in the production; further 800 parts are taken from the original Albatros. Out of the four aircraft built during this production phase, the first one will serve as a flight prototype, two are designed for structural and fatigue tests, and the fourth one should be delivered to the first customer. "We are currently intensively negotiating with potential customers. A number of countries of the existing L-39 users has shown serious interest, as well as other countries that in the upcoming years expect the necessary generational replacement of their training jet air squadron," added the President of Aero, Giuseppe Giordo. The L-39NG aircraft is a modern and effective trainer designed as a unified, comprehensive training system for modern air forces. The L-39NG is based on the aerodynamic concept of the current L-39, but utilizes the latest technologies and equipment. Power is provided by the highly modern FJ44-4M engine supplied with the TAP Blue engine support service to ensure unprecedented airworthiness and predictable maintenance costs. The aircraft's avionics are prepared to train future pilots of 4th and 5th generation aircraft and can be tailored to the customer's requirements to a great extent. The L-39NG is equipped with five mounting points for weapons. The aircraft also features a broad range of simulation technologies, including the integration into high-tech tactical simulation centers with the goal of increasing training efficiency. The strategic partner in the L-39NG project is company Omnipol that contributes 50% financially to the aircraftâ€™s development. Aero Vodochody Aerospace a.s. focuses on the design and manufacturing of military and civil aircraft and is the largest aviation manufacturer in the Czech Republic and one of the oldest aerospace companies worldwide. In the field of military aircraft, Aero has been a reliable long-term partner to many of the world's air forces and it has a strong position on the market of military training and light combat aircraft. With a huge existing fleet of L-39 and with a brand new aircraft, L-39NG, Aero is positioning itself as a leader in the jet training market. In the field of civil aviation, Aero partners with many of the world's largest manufacturers in a diverse range of projects. More recently, Aero became a full partner in several risk-sharing programs, taking responsibility not only for the production of structures but also for development. In developing a jet trainer, Taiwan has begun in the middle, says the defense ministryâ€™s technology agency. But even by using an in-service light fighter as a starting point, the four-year program cannot have much room for slippage. The trainer is really a new aircraft, not merely a version of the fighter, the Aerospace Industrial Development Corp. (AIDC) F-CK-1, even though the two will look much the same. The differences, largely unavoidable and including an almost new structure, will help the project to serve a secondary role of preparing Taiwanâ€™s aeronautical engineering base for a fighter program that may follow the trainer. Full-scale development of the AIDC Advanced Jet Trainer (AJT) began in April, when AIDC was contracted for the project by the technology agency, the National Chung-Shan Institute of Science and Technology. The schedule calls for the first unit to be rolled out in 2019 and to fly in 2020. Deliveries are supposed to begin in 2021, implying that aircraft for the air force will be in production before much, if any, flight testing has been done. The last of 66 units is slated to be handed over in 2026. That might be easy enough if AIDC were planning just to change the cockpit and avionics of the two-seat version of the F-CK-1 to create a trainer. In fact, 80% of the structure is also changing, and so are the aerodynamics. The intended engine, the Honeywell F124, is a nonafterburning version of the TFE-1042-7 of the F-CK-1. Because of its different accessory arrangement, it needs a wider engine bay. That last point and a need for more fuel have forced a widening of the center and rear fuselages, resulting also in changes to structure attached to those sections. Thanks to the widening, the track of the main landing gear will be a little greater, a useful feature for training. The landing gear will be beefed up, because trainee pilots often land heavily, says the head of the instituteâ€™s aeronautical division, Ma Wan-June. Ma and other program officials spoke to Aviation Week about the AJT before and during the Taiwan Aerospace and Defense Technology Exhibition, held in Taipei on Aug. 17-19. The trainerâ€™s designers have kept the planform of the F-CK-1; the only change to it that was apparent on a model at the show was a slight upturning of the tips of the mainplane. Less visible is the deepening of the wing section, mainly to lower landing speed but also to provide more fuel space. Training missions are usually longer than the quick interception flights conducted by the Taiwanese air force, hence the need for more fuel. Because the wing is thicker, its structure is all new, dictating that the attachments on the fuselage must be different as well. The forward fuselage is largely unchanged, say program officials from outside of AIDC. More composite will be used, amounting to 10% of structural weight, says AIDC President Lin Nan-Juh, declining to give performance figures for the AJT. Detail changes will be made to make the AJT more maintainable than the F-CK-1, which is also known as the Indigenous Defense Fighter or IDF. The AJTâ€™s thicker wing should better suit subsonic flight. Lacking afterburners, the trainer will not be supersonic. Leaving out afterburners moves the center of gravity forward, but project engineers say this is balanced by the enlargement of the rear fuselage and deletion of the F-CK-1â€™s radar; in the end, the center of gravity has barely moved. Honeywell is not yet under contract to supply the F124, industry officials say, but there is no sign that the Taiwanese are considering the most likely alternative, the Rolls-Royce Adour. Indeed, by designing the rear fuselage and engine bays to fit the F124, AIDC is well committed to using the U.S. engine. Assuming the air force wants the usual 5-10% spare engines, Honeywell will likely be delivering up to 145 F124s. BAE Systems will supply the hardware of the flight-control system, as it did for the F-CK-1, but the Taiwanese will write their own software, says Ma. The cockpit display system will also come from BAE Systems, according to Lin. It would be surprising if this system were not closely derived from the equipment mounted in the latest versions of the BAE Hawk trainer. As is now usual, software will create simulated targets and threats and present them on the displays in flight. The AJT is intended to be used as an advanced and lead-in fighter trainer. Detail design has begun, says Lin, adding â€œThe schedule is tight.â€� Discussing program objectives, Ma immediately emphasizes the need to deliver on time. That is because the air forceâ€™s AIDC AT-3 trainers are just about worn out. Last year the service announced it wants to retire them all by 2020. Some will surely be retained longer, since the air force is unlikely to leave itself without trainers before the AJT enters service. AT-3 service life could perhaps be extended a little with structural repairs to some units. Partly for AJT development, AIDC has hired several hundred additional engineers, says another program official. Amid a wider strengthening of Taiwanâ€™s defense development and industrial base, the technology institute is also growing. Both organizations face the pending retirement of many of their most experienced engineers over the coming decade. It was reported last month that American company Airborne Tactical Advantage Company (ATAC) had bought 63 ex-French Mirage F1 fighters for 21 million euros. Between 30 and 45 aircraft will be refurbished to fly again as adversaries against U.S. military aircraft. Leonardoâ€™s Vixen 500E AESA radar has been procured by the National Institute for Aerospace Research â€œElie Carafoliâ€� (INCAS), Romaniaâ€™s leading aerospace research and development establishment, for its new trainer technology demonstrator programme IAR-99 TD. The project is based on a Romanian Air Force IAR-99 Soim (prototype no. 7003) which will be modified by INCAS together with aircraft manufacturer Avioane Craiova. Leonardo has worked with INCAS previously, providing its SeaSpray 5000E AESA surveillance radar for INCASâ€™s special mission BN-2 Islander aircraft. This is currently being used for scientific and environmental monitoring missions. It is hoped that the sale of the Vixen 500E could lead in future to Romaniaâ€™s fleet of IAR-99s being retrofitted with the new radar as part of a wider upgrade program. Vixen 500E is one of Leonardoâ€™s active electronically scanned array (AESA) radar systems, meaning that instead of physically pointing the radarâ€™s antenna at its target, a matrix of miniature radar modules are used to steer the beam electronically. This technology allows Vixen to combine high performance with reliability and a low cost of ownership, as well as being easy to install and operate. The prototype aircraft with the radar on-board is expected to be ready for testing by the end of 2017. The contract with INCAS follows Leonardoâ€™s recent provision of the same Vixen 500E radar to the US Naval Test Pilot School (USNTPS) in Patuxent River, Maryland, where students will use the radar while training on-board the schoolâ€™s C-26 aircraft. Previously, Leonardo has also sold the Vixen 500E to the United States for the Department of Homeland Security. Leonardo is Europeâ€™s leader in fire control radar. The company provides the Raven ES-05 AESA radar for Saabâ€™s Gripen E combat aircraft (which will go into service with both Sweden and Brazil) and leads the pan-European Euroradar consortium in the development of the Typhoonâ€™s new Captor-E AESA radar. WASHINGTON --- The United States has refused to send F-16 warplane trainers to Turkey after Ankara requested them in order to fill the gap in the number of Turkish jet pilots. The Turkish Armed Forces (TSK) has been trying to increase the number of its jet pilots after the Air Forces were hit by dismissals carried out after the failed July 15, 2016 coup attempt, widely believed to have been masterminded by the Fethullahist Terrorist Organization (FETÃ–). During the thwarted coup, 25 coup pilots flew with F-16 jets and 11 of them bombed strategic sites. After the thwarted coup, it was revealed that a significant number of followers of the U.S.-based Islamic preacher Fehullah GÃ¼len were in the Air Forces Command and 1,752 personnel were dismissed with state of emergency decrees. According to official numbers, between 300 and 350 of those dismissed were warplane pilots and as a result the ratio of number of seats and the number of pilots decreased to 1/0.8, when it should be 1/1.5. The F-16 jets of American firm Lockheed Martin constitute a majority of Turkeyâ€™s warplane fleet with 240 jets. The government, which has been focused on measures that would increase the number of jet pilots, is searching for F-16 trainers abroad. Pakistan was the only country to accept Turkeyâ€™s request. However, the U.S. objected to Pakistan sending F-16 jet pilot trainers to Turkey, based on the agreement that U.S.-origin equipmentâ€™s purchase, sale, maintenance and training between third countries needed approval from Washington. â€œIf you send your F-16 pilots to the U.S., we can train them here,â€� the U.S. response read, while Ankara insisted on pilots receiving treatment in the bases in Turkey and in their own geographical conditions. The fact that a majority of U.S. jet pilots are on active duty against the Islamic State of Iraq and the Levant (ISIL) in Iraq and Syria is reportedly among the reasons why Washington is reluctant to send pilots to Turkey at present. Saab has launched a new derivative of its Gripen C, which it believes is ideally suited to meeting the future adversary training needs of the UK and USA. Unveiled as a full-scale replica at the DSEI exhibition in London on 12 September, the Gripen Aggressor is the Swedish manufacturer's proposed solution for the UK's air support to defence operational training (ASDOT) requirement, and part of the US Air Force's adversary air (ADAIR) opportunity. Key adaptations would include replacing the fighter's live weapons with a simulation-based capability to fire air-to-air missiles, and fitting a dummy structure in place of its current cannon. The aircraft would also gain Saab's PS-05 Mk IV radar and an air combat manoeuvring instrumentation pod, while retaining its intra-Gripen fighter link and Link 16 functionality. "The DNA that goes into the aggressor is based on the C/D-series, and it will benefit from development programmes for the [Gripen] E and C," says Richard Smith, Saab's head of Gripen marketing and sales. "We are not selling this aircraft as a fighter, but to hone fighter pilot skills," he adds. Pointing to the advanced age and limited performance of types currently employed for such duties â€“ such as the Douglas A-4 Skyhawk â€“ Smith notes: "We see that the [market] requirements have shifted, and increased in terms of the advanced capabilities being requested. We believe we have a product which matches the requirements, and we can make the business case work." Smith declines to comment on Saab's potential partnering opportunities for the UK's ASDOT requirement, citing the programme's competitive nature. However, he says only limited development work would be required to prepare new-build Gripen Cs for the aggressor role, and that the airframer will be able to meet the expected delivery schedule. With reference to the USAF's ADAIR need, he notes: "We believe there's space in a certain category within that requirement that fits an aircraft system like Gripen." "The big challenge today is getting value for money against a genuine adversary threat," says Smith, who adds that having air forces prepare their combat pilots during manoeuvres against the same model of aircraft represents "negative training". "There is a market opening for high-end aggressors, with requirements that reflect modern fighters â€“ supersonic, high turn-rate, agility, and fuzed sensor suites â€“ and the ability to grow as the fight develops." 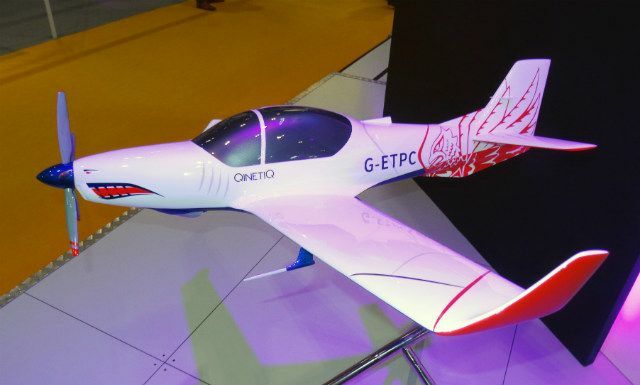 Qinetiq has ordered Grob Aircraft's G120TP to deliver basic training services for the Empire Test Pilots' School (ETPS). The company announced a two-aircraft commitment for the type at the DSEI exhibition in London on 12 September, valuing the deal at Â£6 million ($6.6 million). Qinetiq notes that the G120TP's aerobatic handling performance â€“ of +6/-4g â€“ also will "allow more experienced pilots to carry out advanced manoeuvres". The new assets will replace an aged pair of Shorts Tucanos used by the company. The German-built type recently began supporting ab initio pilot training for the UK armed forces, under the nation's Military Flying Training System programme. Elbit Systems UK/KBR joint venture company Affinity Flying Training Services is providing an eventually 23-strong fleet of the Rolls-Royce M250-powered trainer. Qinetiq's G120TP commitment follows its previous orders for two Pilatus PC-21s and four Airbus Helicopters H125s. The acquisitions form part of an Â£85 million package of equipment investment in ETPS, which it will continue to manage through at least 2028 for the UK Ministry of Defence. Saab is pitching a dedicated â€˜Aggressorâ€™ variant of its Gripen C fighter aircraft for the upcoming UK and US pilot training requirements. Speaking at the DSEI exhibition in London where the new variant of the multirole fighter was unveiled, the head of Gripen sales and marketing, Richard Smith, said that the Gripen Aggressor has been tailored for pilot training role, and that the UK Air Support to Defence Operational Training (ASDOT) and the US Adversarial Air (AdAir) requirements. â€œThere are two countries where we see market potential for the Gripen Aggressor; namely in the UK for ASDOT and in the US for AdAir. We have a product that matches the requirements, and we have the business case to make it work,â€� Smith said. The Gripen Aggressor is essentially a newbuild Gripen C that has had its offensive weapons capability (including the internal cannon) removed. While it is currently modelled on the single-seat Gripen C, Smith noted that a twin-seat Gripen D version could be offered if a customer requested it. As Smith noted, â€œThe Gripen Aggressor is a new member of the Gripen family that comprises the Gripen E series [made up of the E, F, and M models] and the Gripen C series [that also includes the D model]. There is potential in the air combat training sector [for this aircraft] as the current legacy aircraft [being used for air combat training] do not match up to the technologies of modern fighter aircraft.â€� As Smith noted, the technologies lacking include supersonic flight; low observability; beyond-visual-range capabilities; sensor fusion; active electronically scanned array radars; as well as electronic warfare and datalinks. This technology gap leads to â€œnegative trainingâ€�, as Smith put it, and it is this disparity that Saab hopes to negate with the Gripen Aggressor. Boeing partner Saab built the aft fuselage for its first two production ready T-X aircraft and the company will continue that work if awarded the US Air Forceâ€™s trainer replacement contract, a Boeing spokeswoman tells FlightGlobal. In May, Boeing announced the company would complete final T-X assembly at its St. Louis, Missouri facility. 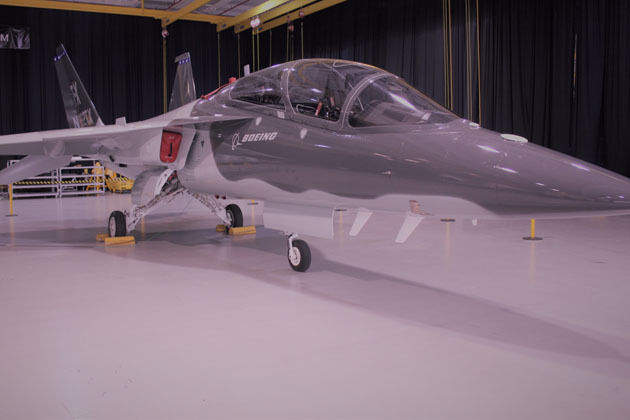 Boeing/Saabâ€™s T-X will compete against Lockheed Martin and Korea Aerospaceâ€™s T-50A, and Lenoardo DRSâ€™s modified M-346 trainer, dubbed the T-100. Boeing/Saabâ€™s bid represents the only clean-sheet design in the competition. Representatives of fifteen states where air forces have experience in operating legendary L-39 jet trainers met on the 2nd L-39 Usersâ€™ Group Conference. The Czech Air Force together with leading Czech aviation company Aero Vodochody Aerospace and arms trading company OMNIPOL invited L-39 operators to the Czech Republic for 13th and 14th September. The meeting built on the successful first conference that took place in 2016 in Aero Vodochody. This year, the Czech Air Force took the lead in organisation of the event. â€œCzech Air Forces are the traditional users of Aero Vodochody products. We have big experience with L-39 Albatros. I am glad that this aircraft has huge potential to be successful trainer in next generation version. I believe, that this symposium will meet the expectations of all participants,â€� said Chief of Staff of the Czech Air Force JaromÃ­r Å ebesta at the beginning of the conference. The group of 15 states joined also representatives of American companies Draken International and Williams International and Latvian acrobatic group Baltic Bees. The main aim of the conference is to share experience with the L-39 Albatros aircraft among the operators but also with the original manufacturer â€“ Aero Vodochody. â€œSecond Users Group Conference is another step in building long-lasting and closer relationship with users of our aircraft. We focused on specific needs and ideas of the participants,â€� described Giuseppe Giordo, president and CEO of Aero Vodochody Aerospace. â€œThe customer side is a key element in our strategy. I am convinced, that we sent strong message, that Aero is reliable partner for pilots training and air missions,â€� added Giordo. Two years ago, Aero successfully performed first flight of the L-39 powered by the FJ44-4M Williams engine instead of the original Ukrainian Ivchenko AI-25TL. The re-engined Albatros is currently finishing certification process so Aero will be able to provide this upgrade to L-39 operators already next year. Moreover, Aero and its partner Omnipol, introduced new jet training aircraft L-39NG, successor of the Albatros. Omnipol half funds development of the new aircraft and it is also involved in marketing and sales of the L-39NG. Assembly of the first aircraft of this type has already begun in Aero. "In terms of our long-standing experience with the export of L-39s in the past, it has been a logical step for us to participate in the L-39NG development project. We are very excited to see how the Czech aircraft are still popular in the world, and we also believe that the users meeting will continue to support its popularity," said JiÅ™Ã­ PodpÄ›ra, president of Omnipol. Attendees of the 2nd L-39 Usersâ€™ Group Conference visited premises of Aero Vodochody and saw MRO facilities for L-39 and production of the new L-39NG aircraft. The second day of the conference took place on the 21st Tactical Air Force Base ÄŒÃ¡slav in eastern bohemia and the participants also visited the Flight Training Centre in Pardubice. Part of the program on ÄŒÃ¡slav Air base was also flight display of several types of L-39 aircraft including the Williams-powered L-39CW, accompanied by L-159 aircraft serving in the Czech Air Force. The conference resulted in the plan of further development of the Usersâ€™ Group. Part of the discussions can continue already this weekend because some of the delegations are heading to Ostrava to visit NATO Days security show. The L-39 and its successors L-59, L-139 and L-159 became the most successful jet training family worldwide ever. Over 3,000 aircraft of this type were manufactured up to now and the jet trainer has been historically used by 45 military operators. Today, the aircraft is operated also by civil customers in at least 15 countries. The L-39 proved its qualities in 15 aerobatic teams all over the world, 8 of them still active as of today. The L-39 family has a total log of over 5,000,000 flight hours with dozens of thousands of pilots trained on jets made in AERO. The aircraft became a legend not only because of its excellent manoeuvrability, but also for its ability to successfully complete missions in all climatic conditions. The aircraft's avionics are prepared to train future pilots of 4th and 5th generation aircraft and can be tailored to the customer's requirements to a great extent. The L-39NG is equipped with five mounting points for weapons. The aircraft also features a broad range of simulation technologies, including the integration into high-tech tactical simulation centres with the goal of increasing training efficiency. Aero Vodochody Aerospace a.s. focuses on the design and manufacturing of military and civil aircraft and is the largest aviation manufacturer in the Czech Republic and one of the oldest aerospace companies in the world. Aero is a long-term partner to many of the worldâ€™s air forces. With over 6,700 training and light combat aircraft designed, manufactured and delivered, AERO is historically the largest producer of this type of aircraft in the world. Its current focus is on the support of its final products, the L-39, L-59 and L-159 aircraft, and on the development of the new generation of its legendary jet trainer aircraft, the L-39NG. In the field of civil aviation, AERO partners with many of the worldâ€™s largest manufacturers in a diverse range of projects, including a number of risk-sharing programs. Since 1934, OMNIPOL, a.s. has been a reliable global systems integrator and supplier of military, security and aviation systems. In addition to aviation technology and aviation training systems, Omnipolâ€™s primary focus is on defence and security electronics. Omnipol initiated a new phase of its development when it purchased ERA, a.s., creating the conditions for the rapid development of a new generation of unique passive (invisible) tracking and recognition systems called VERA-NG. The system is complemented by other types of passive systems (such as SDD) and thereby offers a comprehensive solution for the monitoring of air, sea and land space on the principle of â€œseeing without being seenâ€�. Omnipol is also a supplier of technological production units and services for both the defence and food industries. France appears to have accelerated the delivery of 17 Pilatus PC-21 high-speed turboprops which will operate as trainer aircraft for its air force. Babcock Mission Critical Services France is to procure the aircraft for the nation's defence ministry under the terms of an 11-year, â‚¬500 million ($600 million) contract won last year. However, all 17 aircraft will be delivered over the next 18 months, Babcock indicates. "Following changes made by the customer to the programme schedule, we anticipate formal acceptance of these assets in the next financial year," Babcock says in a trading update for the 2017-2018 financial year, which began on 1 April. A first test flight of the initial PC-21 has taken place, it adds. Babcock expects that the French government will agree on leases covering the aircraft during its 2018-2019 financial year. Also included in the FOMEDEC project are a new training facility to be provided with simulators and mission planning and debriefing equipment, plus the delivery of through-life support for the aircraft fleet. Saab is exploring the burgeoning red air market with its Gripen Aggressor, but the new adversary aircraft could face a tough competition against cheaper, former military jets. Last week, Saab unveiled a new derivative of its Gripen C at the DSEI exhibition in London. The Aggressor is outfitted with simulation-based capability to fire air-to-air missiles and Saab's PS-05 Mk IV radar and an air combat manoeuvring instrumentation pod. This week, Saab officially announced its intent to target the US Air Forceâ€™s adversary air (ADAIR) contract, though private contractors appear lukewarm on the new platform. 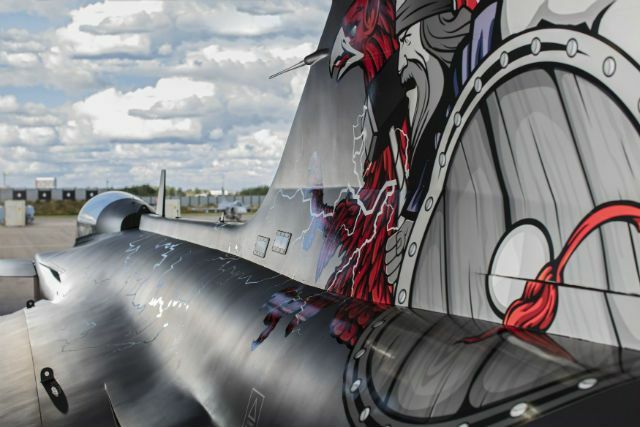 â€œWeâ€™re looking at all options at this time and itâ€™s a highly capable fighter,â€� says Sean Gustafson, vice-president of business development at Draken International, which has already captured the USAFâ€™s interim red air contract for Nellis AFB, Nevada. Draken holds 100 aircraft in its private fleet, including Douglas A-4 Skyhawks acquired from New Zealand, Aerovodochody L-159s and 20 recently acquired Dassault Mirage F1s from Spain. Drakenâ€™s competitor, Textron Airborne Solutions, acquired 63 French F1s this month but is considering the Gripen Aggressor to fulfill the USAFâ€™s 150 aircraft requirement for the ADAIR contract. But while Textron believes the Gripenâ€™s capabilities would suit any aggressor programme, acquiring the aircraft boils down to Saabâ€™s pricing, says ATAC chief executive Jeffrey Parker. Aero Vodochody Aerospace announced details of a comprehensive L-159 upgrade during its recent L-39 User Group conference. According to Massimo Ghione, Chief Business Officer, the mid-life upgrade on offer to the Czech Air Force (CzAF) would cover a new â€˜fourth generation-plusâ€™ avionics package, software improvements to the Grifo radar, a targeting pod, a new electronic warfare suit, â€˜wetâ€™ (fitted with fuel tanks) wings, wing-tip air-to-air missile launchers, a fixed air-to-air refuelling probe, full night vision goggle (NVG) configuration in the cockpit, and a helmet mounted display. â€œWe are trying to find a substantial upgrade solution for the Czech Air Force and the international market,â€� he added. This would see the L-159 Advanced Light Combat Aircraft (ALCA) modified to cope with the new threats of close air support that have emerged since the mid-1990s when the aircraft was designed. The CzAF, which took delivery of 24 L-159s from 2000-2007, has still not committed to an upgrade. However, it is going ahead with the acquisition of three brand new L159T2s and the upgrade of five L159T1s to the same standard. They will feature new cockpit avionics including four 7in Ã— 5in multi-function displays (MFDs) instead of the existing 4in Ã— 4in ones, a new Grifo radar, and â€˜wetâ€™-wings. JOHANNESBURG --- Paramount Group, the African based global aerospace and defence company, today announced the significant enhancement of its pilot training capability through its acquisition of four Dual-Seater Mirage F1 fighter aircraft from the French Government. Paramount Aerospace Systems, a subsidiary of Paramount Group has been supporting a number of air forces around the world in the maintenance and technical operation of advanced fighter aircraft for many years. In this context, Paramount Aerospace Systems has been operating a pilot training capability from ab initio to advanced fighter training in South Africa and customer countries. The demand for these services is increasing significantly due to the global shortage of well-trained military transport and combat pilots. In order to significantly increase its capability, Paramount Aerospace Systems has been in negotiation with the French Government to acquire four Dual-Seater Mirage F1s. These aircraft are compatible with the existing fleet of Mirage F1 aircraft that was acquired by Paramount group from the South African Government. The Company has extensive capability on this aircraft type with full airframe and engine overhaul capability, as well as the ability to upgrade, modernise avionics and mission systems. According to research* the global military aviation MRO market is expected to be worth US $18.5 Billion in 2017 and is expected to increase to US $23.4 Billion by 2027. The expenditure in the sector is expected to be driven by aging military equipment globally, technological innovations in the industry, internal and external security threats, territorial disputes and modernisation initiatives undertaken by armed forces. â€œThrough decades of expertise, continuous innovation and the strengthening of our aircraft upgrade, maintenance, integration, logistics and training solutions, Paramount Aerospace Systems is optimally positioned to provide this capability to any air force in the world. We are very proud of this world-class African capability that is critical for extending the service life of aircraft while reducing the high acquisition costs of new equipment. Paramount Aerospace Systems is well positioned to become one of the major global players in this space, and the acquisition and placing of these aircraft into service furthers this objective,â€� Ichikowitz added.